This is a new exciting finish that Pork Pie introduced this year. The wrap is exclusive to Pork Pie. 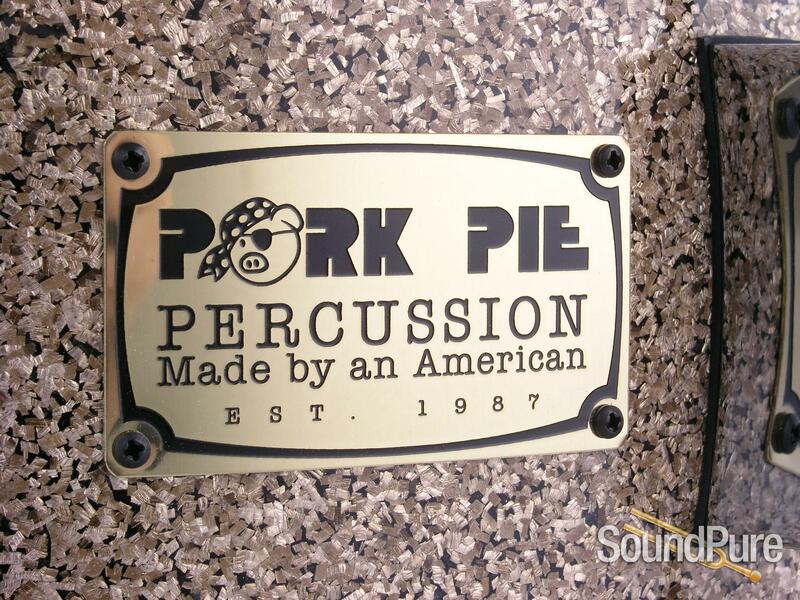 Whether recorded or live, the difference in your sound will be a custom Pork Pie™ snare. Hearing is believing! 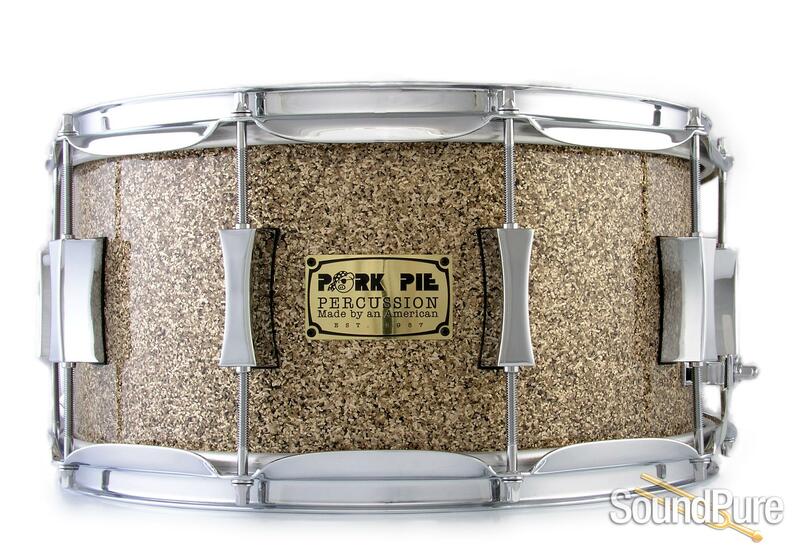 The drum artisans at Pork Pie have always had an amazing attention to detail and this Maple Snare returns the favor. 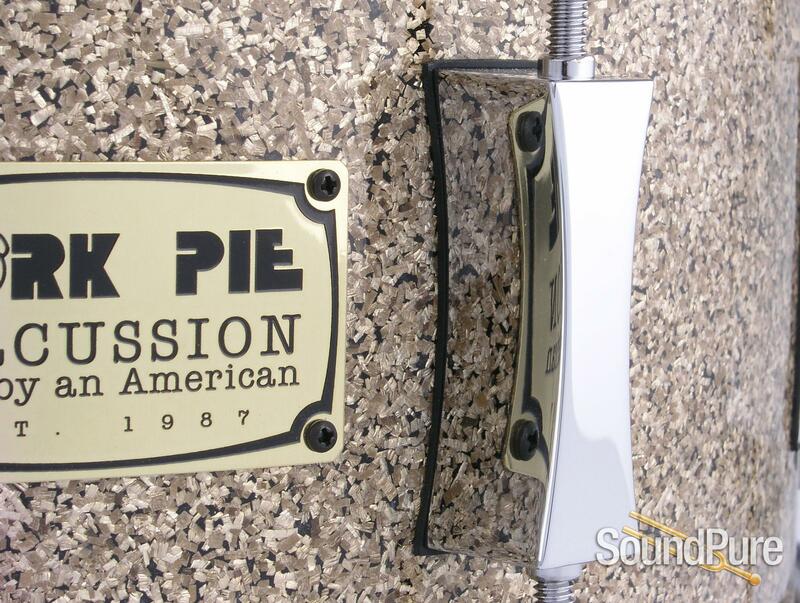 Constructed with Pork Pie's progressive ply design, this snare features an 8-ply, maple shell interior and an exterior veneer featuring a B20 Sparkle wrap. 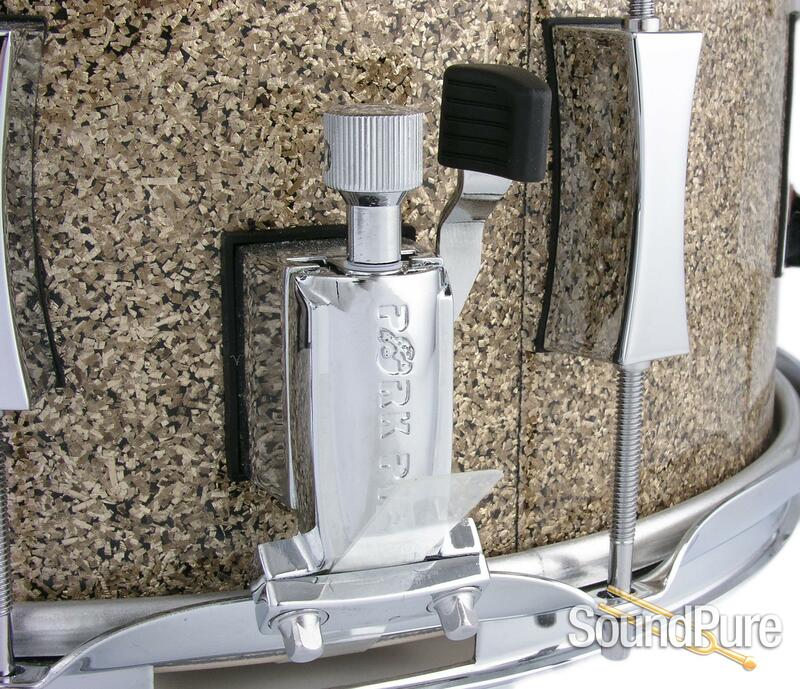 It's an exquisite design which is only rivaled by the craftsmenship within. 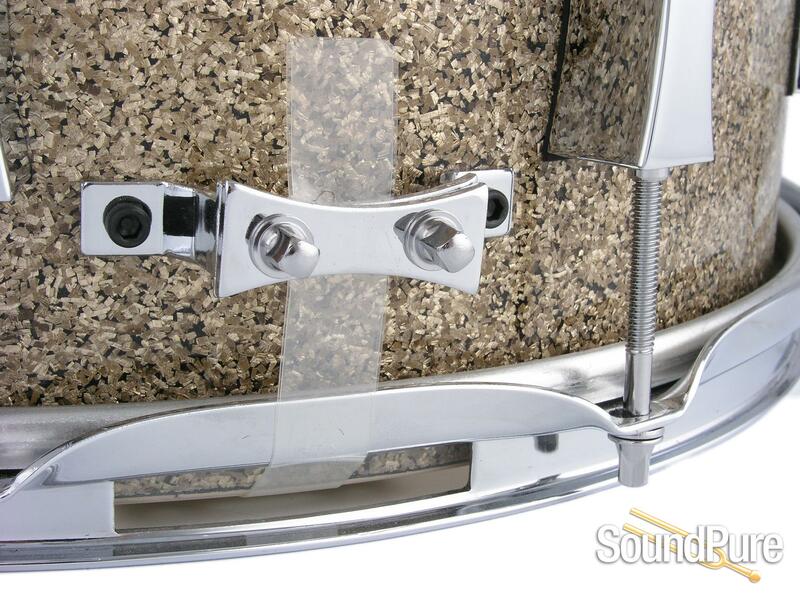 Offering bearing edges that are hand-sanded and precision cut, the tonal quality of the shell give you the warmth of maple. The hardware includes hourglass lugs, exclusive to Pork Pie, and 2.3mm heavy-duty hoops that can take the best you can dish out. 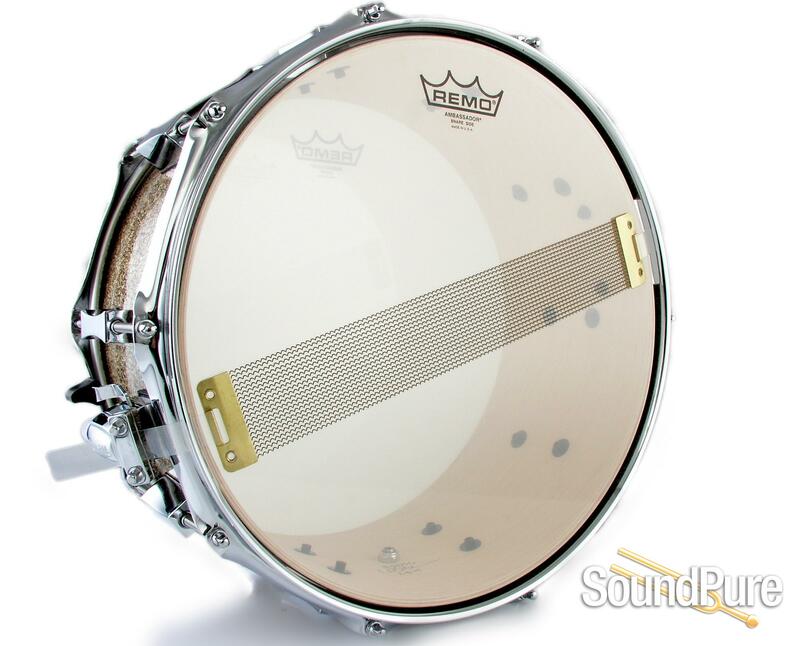 The drum comes outfitted with Remo USA heads so you're able to enjoy fine tones straight out of the box.